MADISON, Wis. (June 15, 2017) – Construction is under way to expand and improve broadband to more than 3,600 locations in eastern Tennessee. 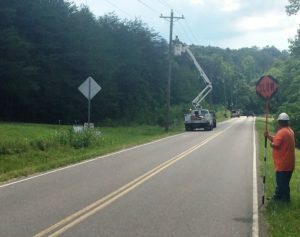 TDS Telecom (TDS®) began work in March in the Tellico Telephone Company coverage area. Construction is expected to be complete by year-end 2018. The Federal Communications Commission (FCC) allocated an average of $7.1 million each year to reach residents in some of the hardest to serve areas in Tennessee. The funding will also be used to maintain a voice and broadband network as well as building out to these locations. The FCC’s Alternative Connect America Cost Model (A-CAM) will provide funding to more than 3,600 locations in eastern Tennessee with hundreds of additional customers receiving faster service from the network upgrade work. Tennessee residents can visit the TDS website to find out how this federal program may impact their location. TDS has been doing business in Tennessee since 1975 and owns four telephone companies in the state covering approximately 2,500 square miles. TDS employs about 200 people in Tennessee. What is the scope of phase one and phase two? Will the Vonore to Tellico Plains area see improvement under phase one, then better yet during phase two? Or are these different support areas altogether?